Express your love with this magnificent display of roses!! 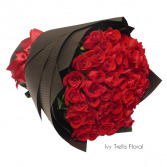 When the message needs to be clear, send beautiful red roses from IVY TRELLIS FLORAL & GIFT SHOPPE. WOW them with breathtaking roses from IVY TRELLIS FLORAL & GIFT SHOPPE!! For flowers that will inspire the senses, order online from our website 24/7 or call our shop direct. Sending roses is always a special occasion. Roses are the traditional, go-to romantic gift. They are also a one of the most popular and recognized flowers in the world. No matter who you want to send flowers to, roses are a perfect choice. Send red roses for romance, white roses for respect, and yellow roses for friendship. 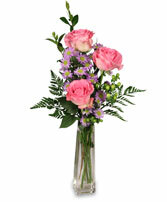 Whatever rose you choose to send, IVY TRELLIS FLORAL & GIFT SHOPPE in Owensboro can help you!